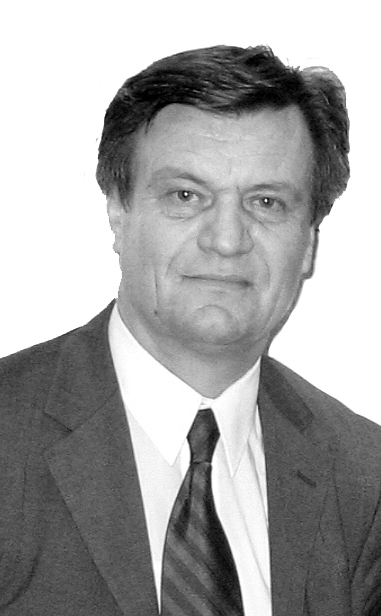 Izet M. Masic, MD, MSc, PhD, FEFMI, FACMI, FIAHSI (1952-) was born in Gracanica, Bosnia and Herzegovina (B&H). He is pioneer of Medical informatics in B&H and Balcan countries as one of the first MDs who earned MSc and PhD in Medical informatics field. He graduated at Faculty of Medicine of Sarajevo University in 1976 and notified his medical diploma at Faculty of Medicine at Innsbruck University (Austria). He was a postgraduate student at London School of Hygiene and Tropical Medicine in 1981/1982 (LSHTM). Izet Masic has been elected as full professor of Medical Informatics and Family Medicine at Faculty of Medicine of University of Sarajevo and full professor of Social medicine and Health Care Organization, and Health Management at Faculty of Medicine, University of Zenica. Also, he is professor at several other universities in Bosnia and Herzegovina and Croatia (Dubrovnik International University), and other countries. As author and co-author prof Izet Masic published one thousand different publications, mostly of them in peer reviewed indexed medical journals. His important books in the field of Medical Informatics are: “Medical Informatics (editions: 1993, 1996, 2001, 2010), “History of Medical Informatics in B&H” (2009), “History of Medical Informatics – an overview” (2013), “Contributions to the History of Medical Informatics” (editions: 2014, 2015), “Biographical Lexicon of Medical Informatics” (editions: 2015, 2016, 2017), “Honorary Fellows of EFMI” (2017), “Honorary Fellows of IMIA” (2018), etc. His book “Biographical Lexicon of Public Health” is published in English and Greak languages (2016 and 2018). He published the first books in the field of Family medicine in B&H – “Porodicna medicina: Principi i Praksa” (2007). He also published books in the field of Social Medicine, Health Management and Science Editing: “Socijalna Medicina” (2008), “Health Management” (2014) and “Science Editing in Biomedicine and Humanities” (2013). In the field of History of Medicine he published more than 30 books. The most popular book is “History of Medicine in Bosnia and Herzegovina” (2001). Izet Masic has been Editor-in-Chief of the journals “Glas medicinara” (1975-1976) and “Acta Medica et Stomatologica Studentorum Iugoslavica” (1976-1977), and several indexed medical journals, including: Medical Archives (www.medarch.org) (1994-present), Acta Informatica Medica (www.actainformmed.org) (1993-present), Materia Socio-Medica (www.matersociomed.org) (2000-present), and European Journal for Biomedical Informatics (www.ejbi.org) (2018-present), and member of Editorial boards of more than 20 international peer reviewed medical journals. In the year 2009 Izet Masic formed Academy of Medical Sciences of B&H and became first President of Academy. He established Society for Medical Informatics in B&H in 1988. In 2000 he has been Founding member and Vice-President of Association of Social medicine – Public health of FB&H. Izet Masic is member of Council of EFMI (1994-present), General Assembly of IMIA (1994-present), International Society for Telemedicine & eHealth (2005-present), Governing Board of European Association for Public Health (EUPHA) (2000-present), and European Association of Information Technology Managers (2007-2015). From 2012 to 2015 he has been member of Council of European Association of Science Editors (EASE). 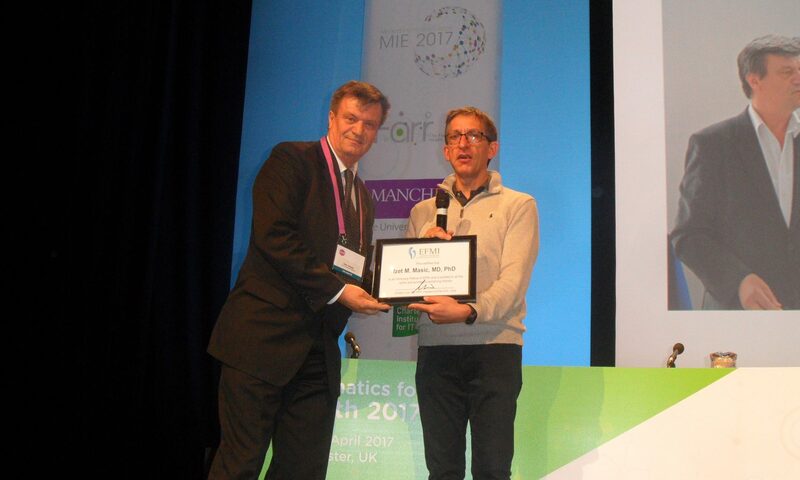 In the year 2016 Izet Masic has been elected as Honorary Fellow of European Federation for Medical Informatics (FEFMI) and Fellow of American College of Medical Informatics (FACMI). In 2017 he has been elected as Founding member of International Academy of Health Sciences Informatics (FIAHSI). Prof Masic has organized over 50 scientific and professional conferences and among those 10 during the war time in Sarajevo. Izet Masic chaired 22nd European Congress of Medical Informatics (“MIE2009” Conference) held in Sarajevo. Also, he chaired the First and Second Mediterranean Seminar of Writing, Editing and Publishing – “SWEP 2016” and “SWEP 2018” (www.amn.ba). He received a lot of domestic and international awards. He was actively involved as speaker and session chairman at various conferences worldwide in the fields of Public health, Medical informatics, Family medicine and Science editing. After specialist’s exam in 1982 he worked as physician in Health center in Sarajevo and assistant of Social medicine at Medical faculty of Sarajevo University. He became lecturer at Nursing college in 1986 and since 1989 he was developed into professor on the same institution. Izet Masic become assistant professor of Social medicine in 1991. In 1992 Izet Masic established Cathedra for Medical Informatics at Medical Faculty of University of Sarajevo and past through all phases, from assistant professor in 1992, to full professor in 1998. In 2002 he became full professor of Family medicine at Faculty of Medicine of University of Sarajevo. In 2011 he became full professor of Management in Quality of Health at Dubrovnik International University (DIU). In the year 2012 he become full professor of Health Management at Faculty of Health Sciences of University of Zenica. As author Izet Masic published over 300 papers in peer reviewed indexed medical journals and over 500 papers he has published as co-author. Also, he is author of over 40 books and monographs. Izet Masic has been Editor-in-chief of five indexed biomedical journals (last 20 years he edited: Medical Archives, Materia Socio-Medica and Acta Informatica Medica journals). In the year 2009 Izet Masic formed Academy of Medical Sciences of BiH and became first President of Academy. He established Society for Medical Informatics in B&H in 1988. Izet Masic is member of Council of EFMI (1994-present), General Assembly of IMIA (1994-present), International Society for Telemedicine & eHealth (2005-2012), Governing Board of European Association for Public Health (EUPHA) (2000-present), and European Association of Information Technology Managers (2007-2015). From 2012 to 2015 he has been member of Council of European Association of Science Editors (EASE). In the year 2016 Izet Masic has been elected as Honorary Fellow of European Federation for Medical Informatics (FEFMI) and Fellow of American College of Medical Informatics (FACMI). Prof Izet Masic has elected as a member of International Academy of Health Sciences Informatics in 2017 (MIAHSI). Prof Masic has organized over 50 scientific and professional conferences and among those 10 during the war time in Sarajevo. Prof Izet was pioneer of development of Distance Learning in Medical Education in SouthEastern Europe (Cantonal and Federal Governmental project – 2002-2007). Masic chaired 22nd European congress of Medical Informatics (MIE2009) held in Sarajevo. He received a lot of domestic and international awards. He was actively involved as speaker and session chairman at various conferences in Public health, Medical informatics, Medical publishing and Family medicine worldwide..